Duo Exchange in 4´42 Minutes digital EP. It´s out. Gigs in Lepakkomies, Helsinki 27.4. and TVO, Turku 5.5. Come and say hi. Monorural Recordings-CD out now! If you liked "The Great Depression" on Butter Life-album, you´ll love this. Check out track "Gold Dust for Sale". Buy from Discogs or address below. Old Fart´s Play digital release from our friend Shaun at TenZenMen. Reviews updated! "I Hope Until Your Rabbit Dies" on We Saw Human Guinea Pigs Explode-compilation. A benefit for London homeless support group The Simon Community. Can Can Heads is Ruining the Classics-bandcamp release. King Dong Kong-digital ep on Silber Records´ 5in5 series. Ride A Dove - interview. Ajatuksen Valo - interview (Fin). A live track from Helsinki, Kuudes Linja 4.11.2013. Supporting mighty Bill Orcutt. Hear that Mikko go! Just amazing JS666 remix of Salmonella River! 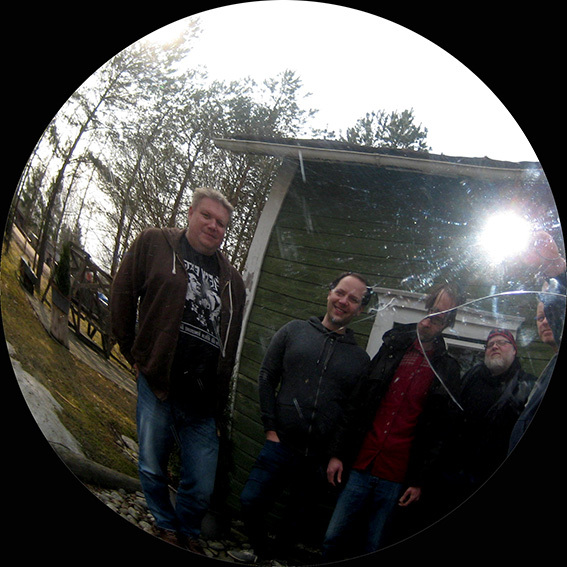 Can Can Heads meets Mohel "Telakka" live CS released. Side B includes Folklore CDr + some extra recordings. We´re always planning on re-releasing old 7"EP´s as some sort of discography CD. Here´s one "remastered" version of Limping Deputy from Cricket Okasada EP, which was released by Verdura Records 2001. Organ donation received.